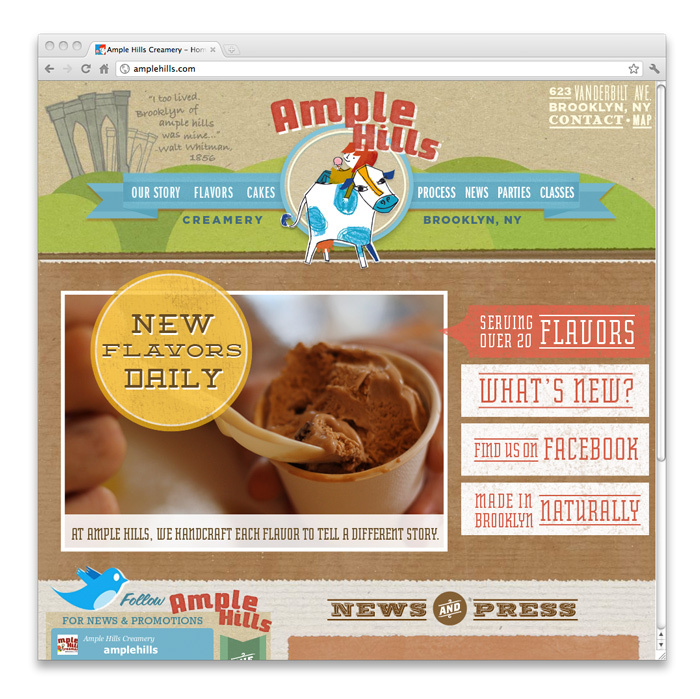 This website was created for Ample Hills Creamery in Brooklyn, NY. They are a mom & pop ice cream shop that makes all of their 30+ flavors on premise. 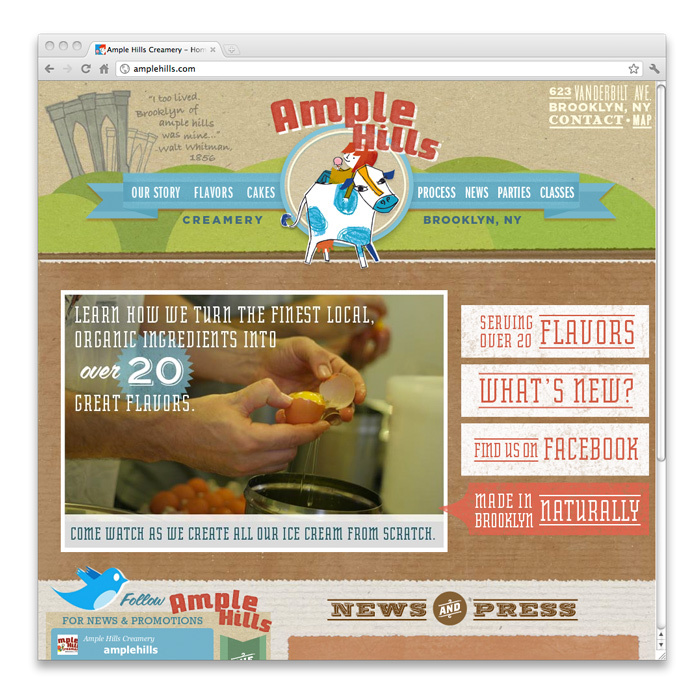 Because they make all of their 30+ ice cream and cakes on premise, they needed a website that was pretty as well as functional. 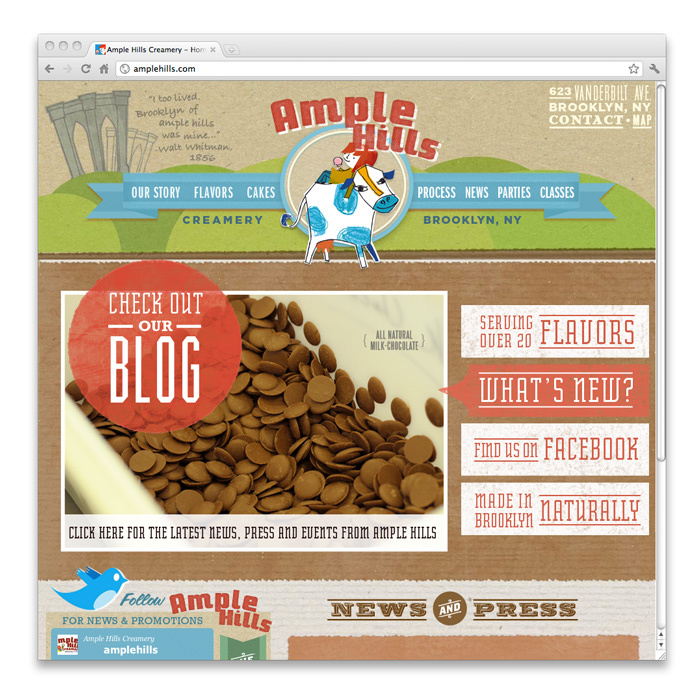 We created a custom CMS system for them to be able to update their flavor listings on the fly. Apart from web design, I was responsible for photography on this project.